The Lady Vikes went outside of conference play Tuesday and rolled over the visiting Lancers. Sophie Bussard was in the middle of the Valley production with 10 kills and eight digs. Sara Myers sent up 15 assists and Shayleigh Shriver ripped four aces. The Valley JV (15-5) also picked up a big win at 22-25, 25-22, 25-11. Brayden Baney was huge with 16 digs and six aces, Hayley Backus added five kills and three blocks, and Macy Kirchenstien had 11 assists. Valley (11-7) has a huge Three Rivers Conference matchup Thursday at home against Manchester. Triton earned its third win of the season in a straight-set sweep of the host Eagles. The Lady Trojans had some new names step up, with Emma Hepler helping 12 points and Jaela Faulkner lead with 14 digs. Dylanie Miller had 16 assists and two aces, Alyxa Viers had 10 digs and five aces, Abbey Viers had eight kills, and Lexia Hostrawser had 11 kills in the win. Triton’s JV also won in a 24-25, 25-12, 15-10 rally. Triton (3-11) will visit Bethany Christian Thursday night. In just its third appearance at home, Warsaw swept its second win, Tuesday coming against Columbia City. Kacy Bragg had a giant contribution during the team’s giveback to the Animal Welfare League night, sending home 11 aces, five blocks and 22 assists. Rachel Yeager had five kills, Kennedy Lauck had seven kills and a pair of aces and blocks, Betty Barnett had four hammers and Kylie Smith dug 10 attempts and had three aces. Warsaw moves to 13-3 on the season and will visit Plymouth Thursday in a big Northern Lakes Conference showdown of the conference’s two remaining undefeated teams, both sitting on top of the table at 3-0. The longest road trip of the Crossroads League season ended quickly for Grace’s volleyball team. The Lady Lancers swept Mt. Vernon Nazarene on Tuesday. The scores became increasingly closer until the end with Grace winning 25-14, 25-20 and 25-22. Grace’s offense had a distinct advantage over the Cougars (7-6, 0-4 CL); the Lady Lancers (9-4, 3-2 CL) held a 50-33 edge in kills and 45-30 lead in assists. Grace hit at a .328 percentage as a team thanks to 42 assists by Alexa Hill. Caylie Teel posted a double-double with 16 kills and 14 digs, making only two attack errors on a .378 percentage. Kelsee Zuidema also reached double figures with 15 kills at a .278 clip. Grace blitzed MVNU from the opening set. The Lady Lancers smashed out 16 kills with just two errors in the 11-point win. Zuidema got Grace off to a fast start with kills on back-to-back plays to begin the second set. MVNU rallied, however, using a pair of 5-0 runs to pull ahead 18-14. But Grace ended the game on a 11-2 run thanks to two kills apiece from Teel and Zuidema. Grace’s two freshmen Makaela Lochmueller and Hanna Leach produced a kill on the final two points to conclude the set. The Cougars grabbed another lead midway into the third set at 14-9, hoping to extend the match. But the Lady Lancers slowly chipped away at MVNU’s cushion and tied the score at 19-19. Teel helped shift momentum to Grace’s side with back-to-back kills, and Deborah Michalski officially ended the match with an ace. Lochmueller finished the match with 8 kills, 2 solo blocks and 1 block assist, hitting at a .375 percentage. Marta Bleed tallied six kills, and Gina Novotny had 14 digs. The Lady Lancers will continue league play on Friday, hosting Huntington at 7 p.m. at the Manahan Orthopaedic Capital Center. Lakeview took care of business Tuesday against Milford in a 25-11, 25-22 result to move to 9-2 on the season. Clara Porter had eight aces and three kills and Colette Blackburn added seven kills for the Tigers. Edgewood won its matchup against Valley 25-15, 25-22 Tuesday. Kaylee Weeks had an all-around good game for the Tigers with three assists, three digs, two aces and two kills. 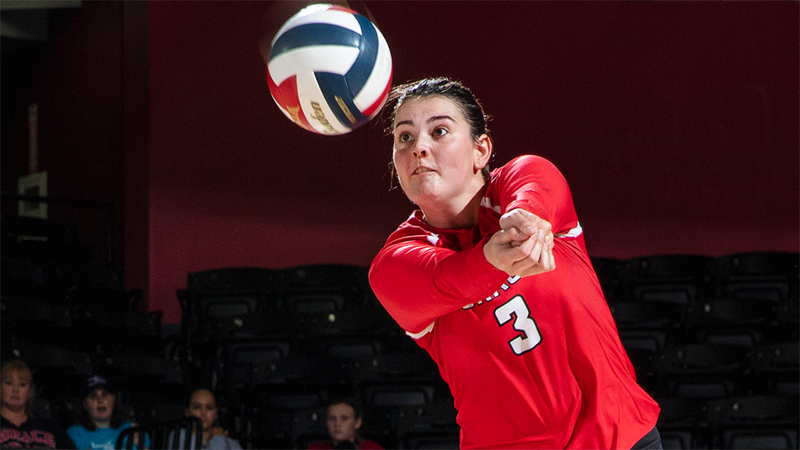 Katie McKibbin added nine digs, six kills and two assists. The younger Tigers got the best of the Vikings 25-16, 25-19. Melania Hawblitzel paced the Tigers with 10 aces and three kills and Ava Wetzel added four kills and two aces.